Dottie has started her tracking career and has already obtained her Tracking Dog Title at just 10 1/2 months of age. She is well on her way to her Tracking Champion Title, we will now have to wait until the 2012 tracking season. Dottie finshed her tracking title in style,first week out for the season (16.6.12) and she passes her Tracking Dog Excellant(track 6). The following weekend (24.6.12), she passes her track 7 for her Tracking Champion Title. 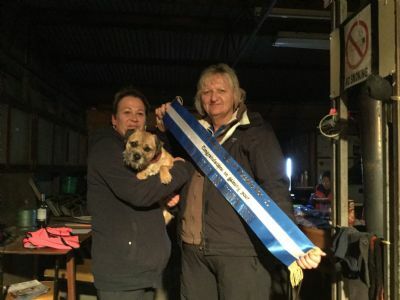 All this and she is only 22 months old.She is the youngest Border Terrier to obtain her title. Dottie is our 3rd homebred to be come a Tracking Champion. Now for the next part. Watch out for her doing her Track and Search title. She is definately not just a pretty face. 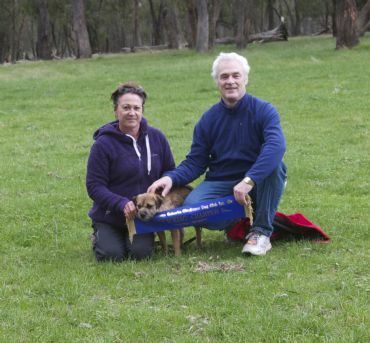 Dottie gains her TSD title at Bendigo on 1st June '14[ and has now gained her TSDX title at Morwell Obedience club on 8th September . We will now have to wait for the 2015 Tracking season. To do her last 4 tracks. The start of 2015 Tracking season, and Dottie doing her TSD7 and TSD8 on the same day, gained her TS Champion Title. This makes her the 3rd to earn this title for Glenbogle. 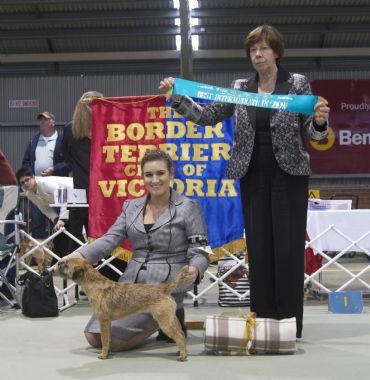 Border Terrier Champ Show -2012, Judge: Mrs Susan Kealy (Ireland), critique. Glenbogle Poetry In Motion TD - racy type,nice teeth and bite, well balanced fore and after.